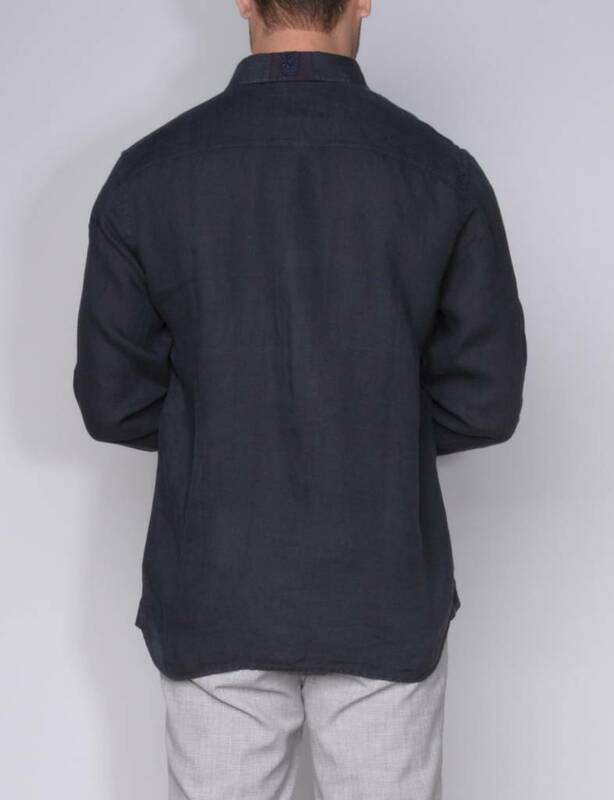 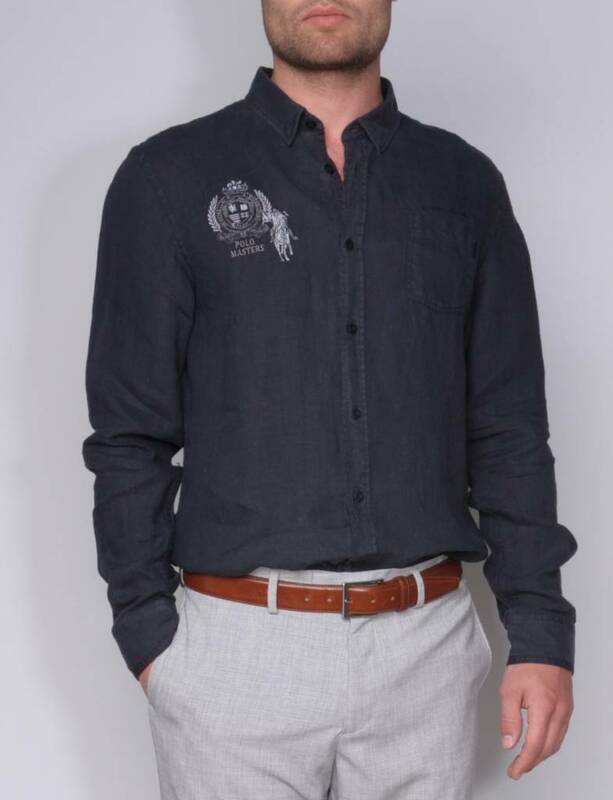 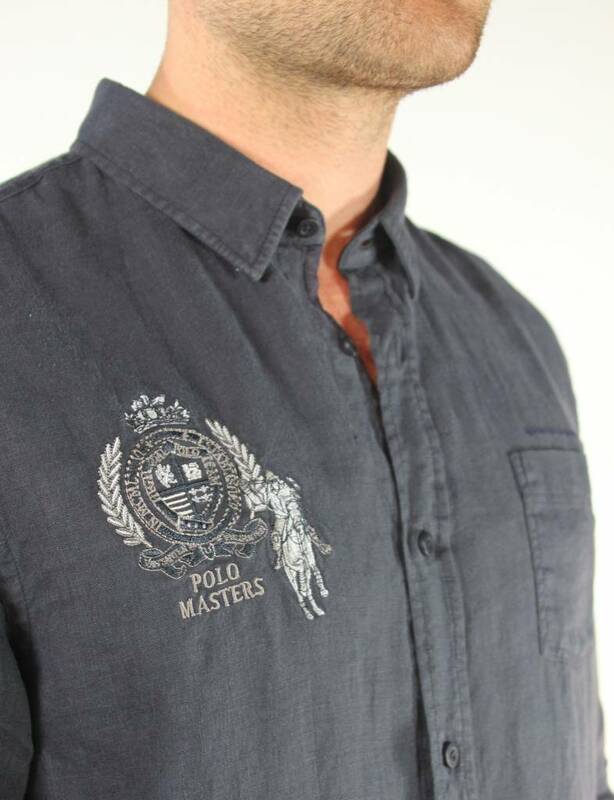 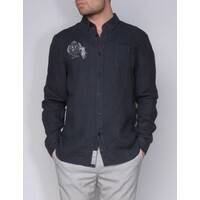 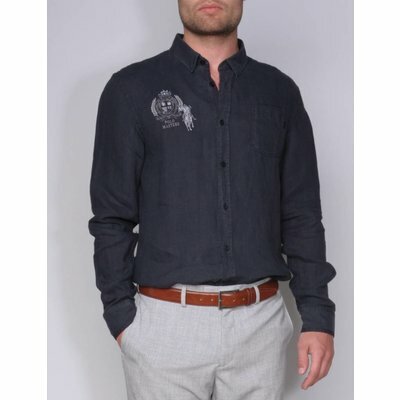 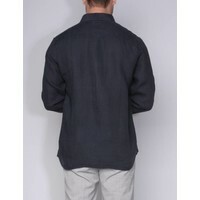 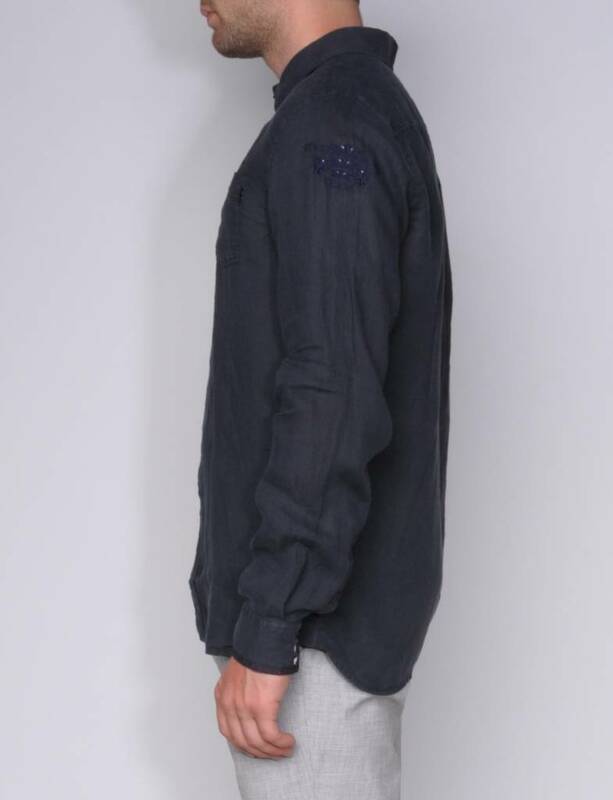 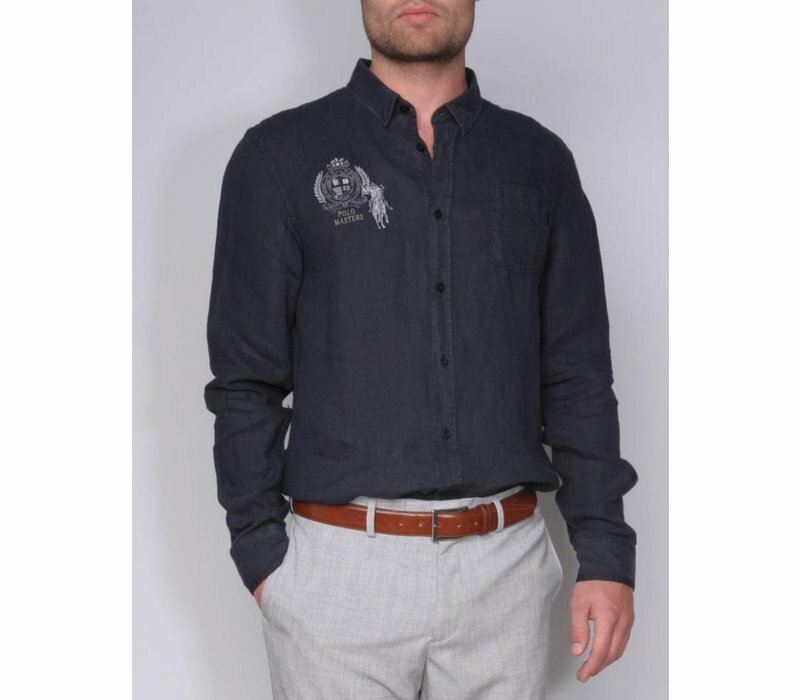 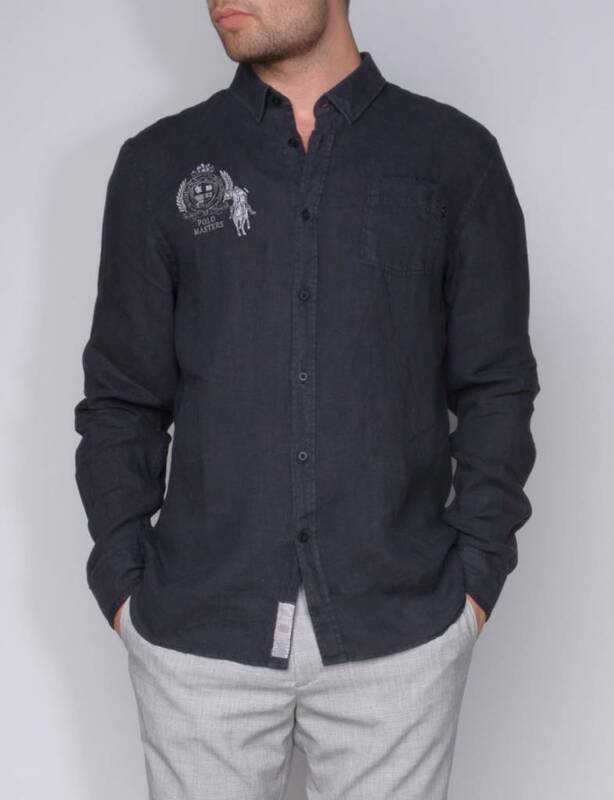 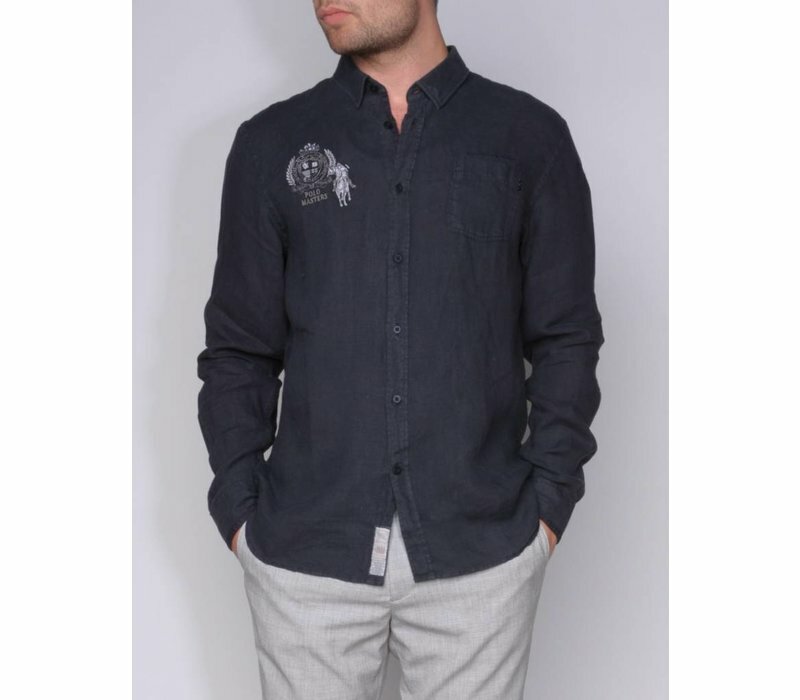 The abolute summer hit, this linen shirt in navy blue with ' blind ' button down and chest pocket. 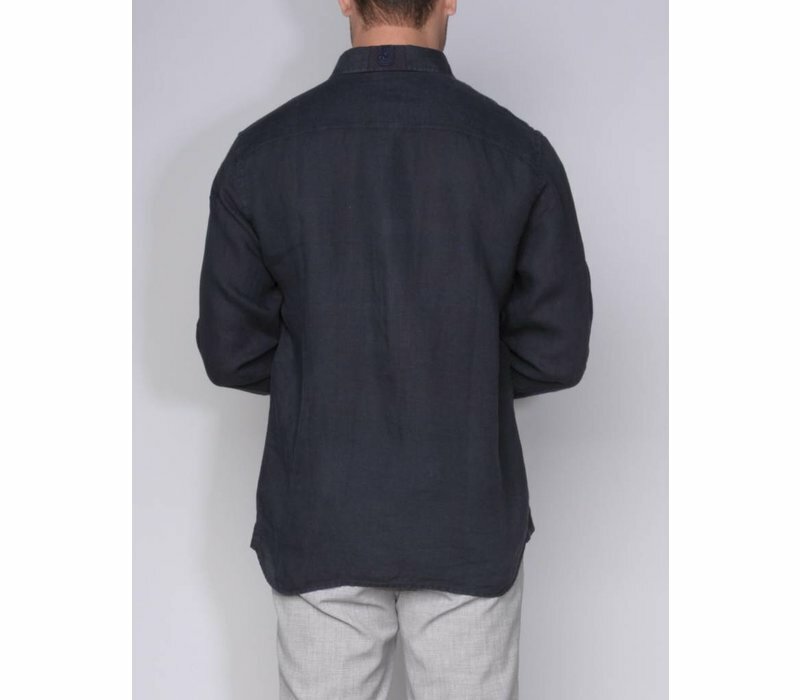 Contrast fabric on collar, inside cuff and closure. 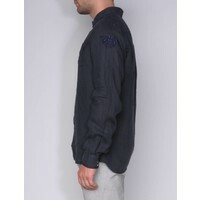 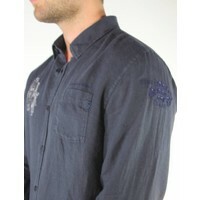 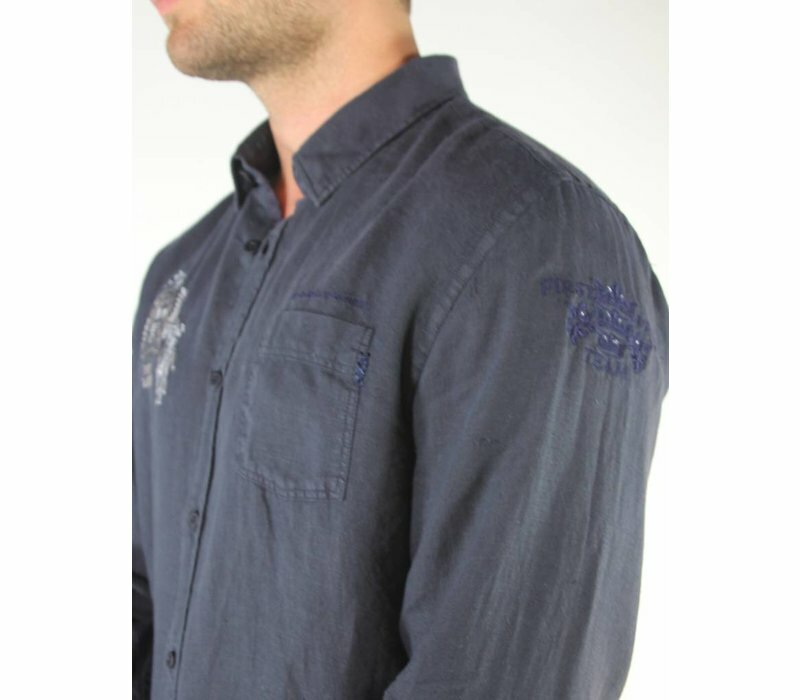 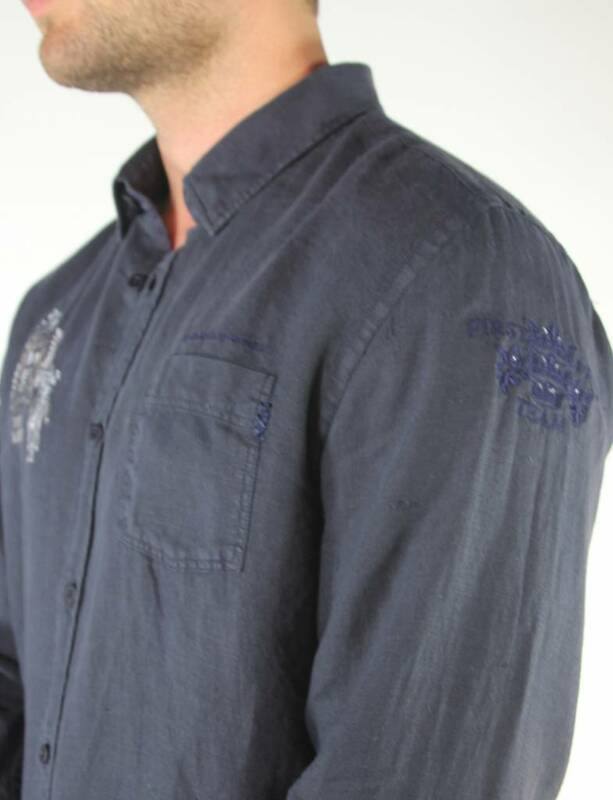 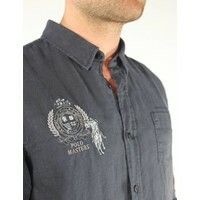 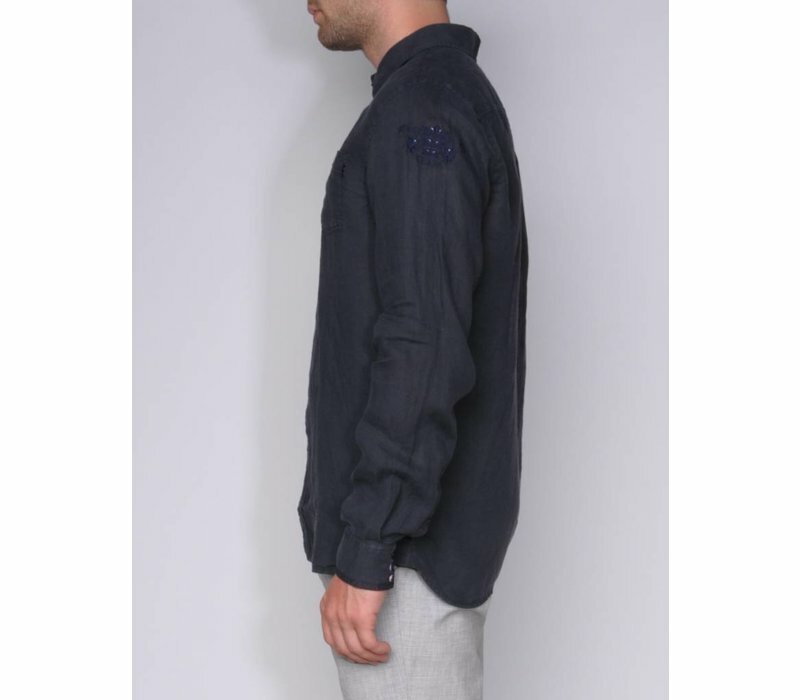 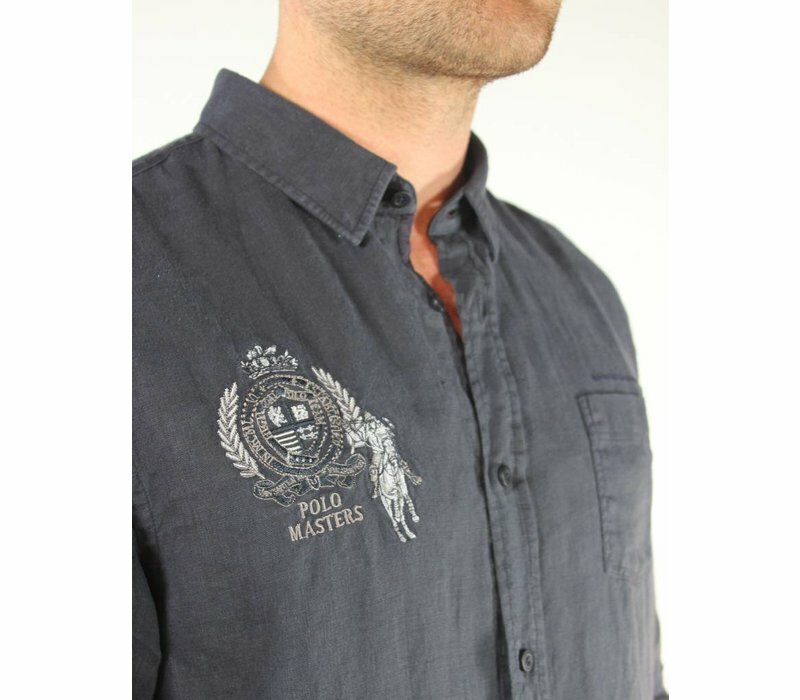 Detail on the back collar and embroideries in contrast colors on front and sleeve.